Two of my children are adopted from China. My husband and I made the commitment to try and keep their heritage alive for them through celebrating the Chinese (also known as Lunar) New Year. It's a really fun holiday celebrated for two weeks usually beginning in late January…the dates will vary with the lunar calendar. 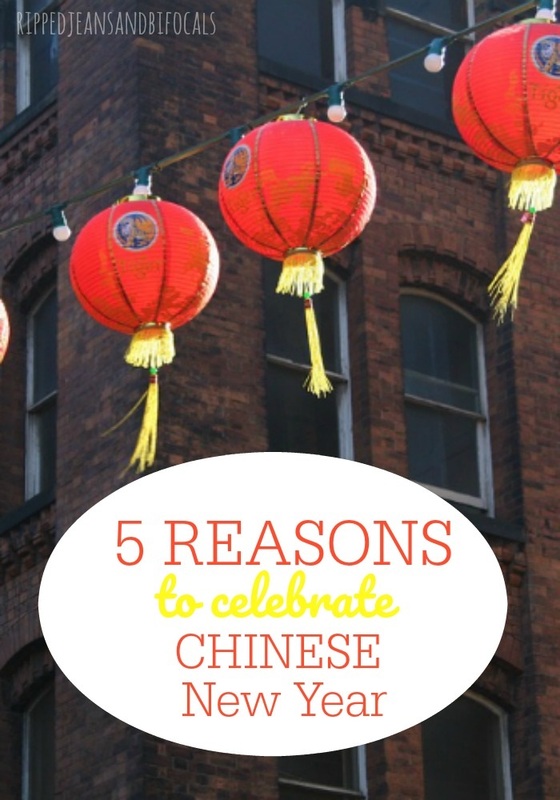 Today, I'm sharing five reasons why you should celebrate Chinese New Year this year. 2018 is the Year of the Dog, which begins on January 29th. Chinese New Year celebrates life and the beginning of the growing season. People all over the world celebrate by gathering with family and friends, eating delicious food, watching fireworks and the traditional Chinese Lion Dance, and the giving of red envelopes with “lucky money.” It's a really fun holiday and you don't have to have an Asian connection to enjoy it. HERE ARE 5 GREAT REASONS WHY YOU SHOULD CELEBRATE CHINESE NEW YEAR, TOO! If you live in an area with a mix cultures and ethnicities, you’re lucky. There is a huge Hispanic population where I live so opportunities to absorb that culture are plentiful but we really have to hunt to find Asian-themed experiences, beyond the standard Chinese restaurant. I’m a firm believer that diversity breeds understanding and that understanding breeds kindness and acceptance…and really, people, wouldn’t the world be a better place if there were more kindness and acceptance floating around? Celebrating Chinese New Year is a great way to get outside of your comfort zone a little bit and do something different. Get online and find a festival or a lion dance demo in your area…or at least go out to dinner and try something new. If you stick to sweet and sour pork, get adventurous! Trying something new is a good thing and if you’re a parent, it’s good to give your kids varied experiences…and to let them see that you are willing to try new stuff. While there’s some token gift giving associated with Chinese New Year, it doesn’t come close to matching the excess of Christmas. Lately, it seems like Valentine’s Day, Saint Patrick’s Day and Easter are getting so heavy on commercialism, lavish gift-giving and tons and tons of candy. Chinese New Year reminds me a little of Thanksgiving (my favorite holiday by the way) where celebrations are focused on spending time with people you love. We let our kids give out red envelopes to their classmates but that more of a way to share awareness of the holiday versus gift giving. Celebrating life, rebirth and new beginnings with an emphasis on spending time with people who matter? Yes, please! This is a holiday that focuses on people so much more than it focuses on stuff…and that’s pretty awesome. 4. IT’S FUN! HELLO, DRAGONS, LIONS AND FIREWORKS? Everything about this holiday is festive and celebratory. There’s no Easter Bunny or Elf on the Shelf to deal with…just noisy fun. If you have a Chinatown in your community, check to see if they have a parade or a fireworks display and go! 5. IT’S A GREAT EXCUSE NOT TO CLEAN YOUR HOUSE! People spend the two weeks leading up to Chinese New Year cleaning to prepare for visitors. I know, that’s a lot of cleaning and I actually snort-laughed when I typed the part about two weeks. Here’s the part I like: tradition dictates you put away your brooms, dustpans and other cleaning equipment on New Year’s Eve because cleaning on New Year’s Eve might “sweep good fortune away.” How brilliant is that? I think I can get some mileage out of this one year round, people! On day five, you’re supposed to take all the dust and dirt that’s accumulated and toss it out the back door. Challenge yourself to do one thing to ring in the Year of the Dog this year. I bet you don’t regret it. I did not know this! I am not sure if I want to celebrate my birthday twice a year but my kids would probably love this idea!